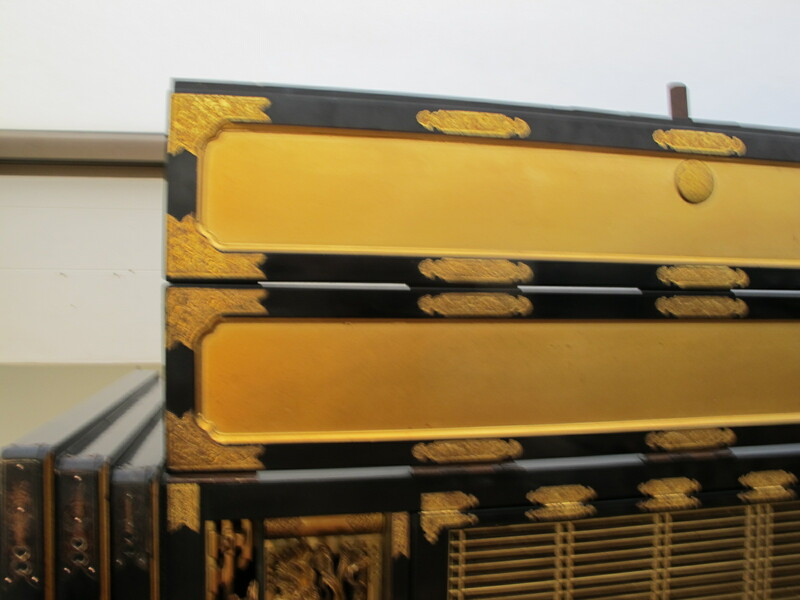 Category ASIAN, ORIENTAL, CHINESE, JAPANESE. 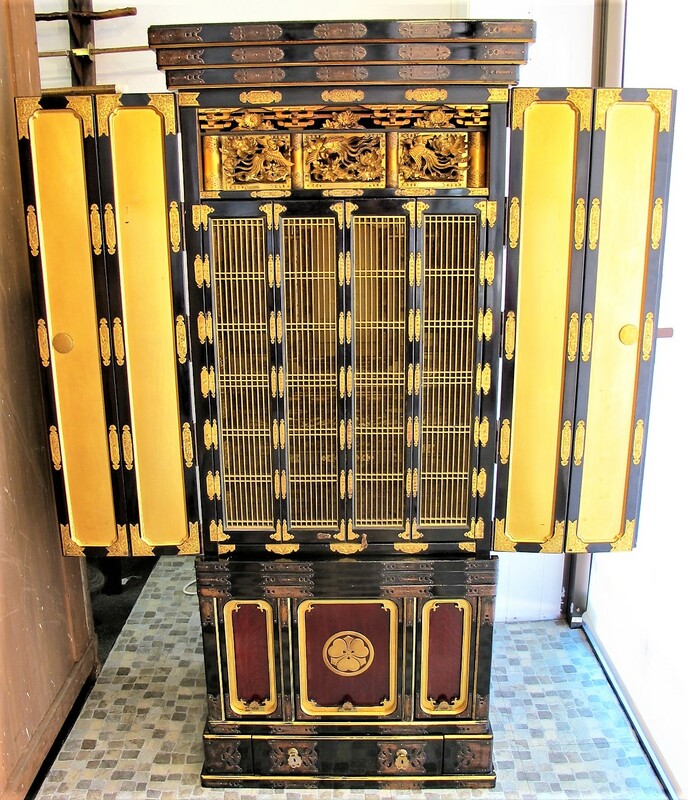 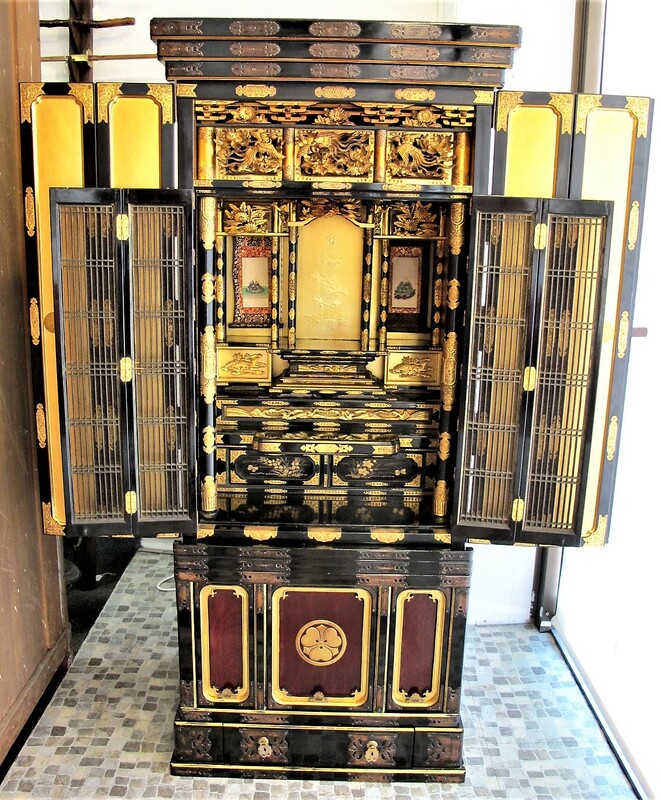 Caption RARE JAPANESE ALTAR SHRINE CABINET, KNOWN AS A BUTSUDAN (BUDDHIST SHRINE) 19th CENTURY. 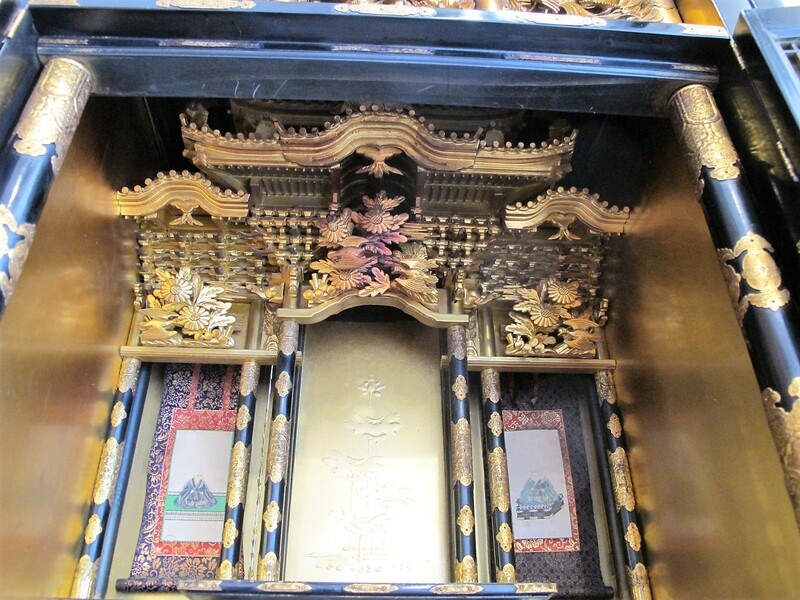 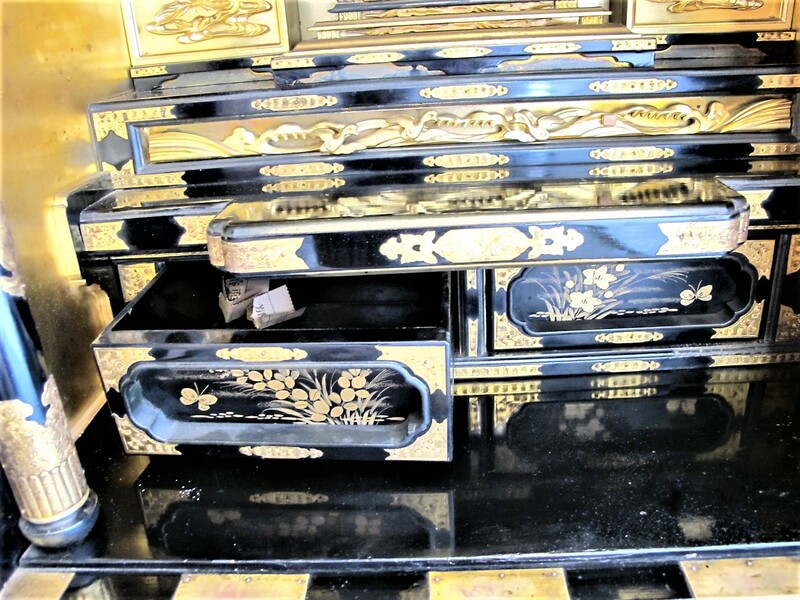 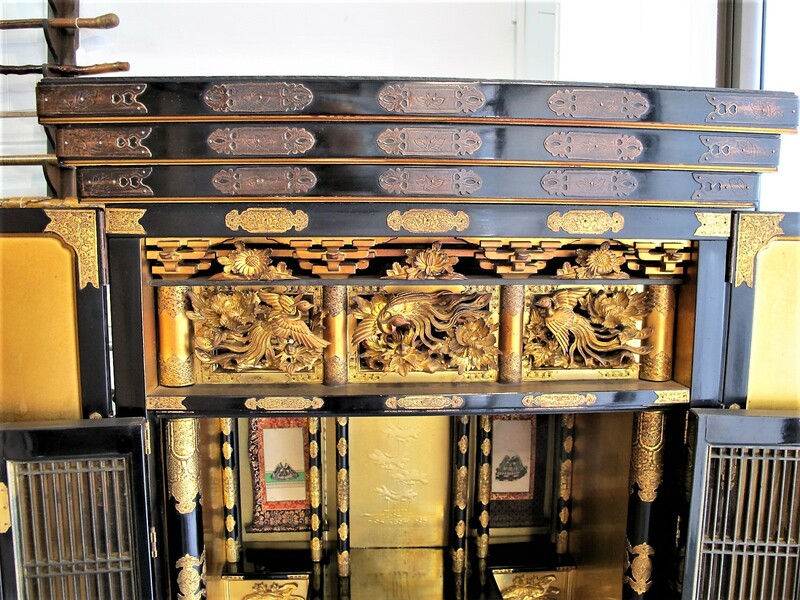 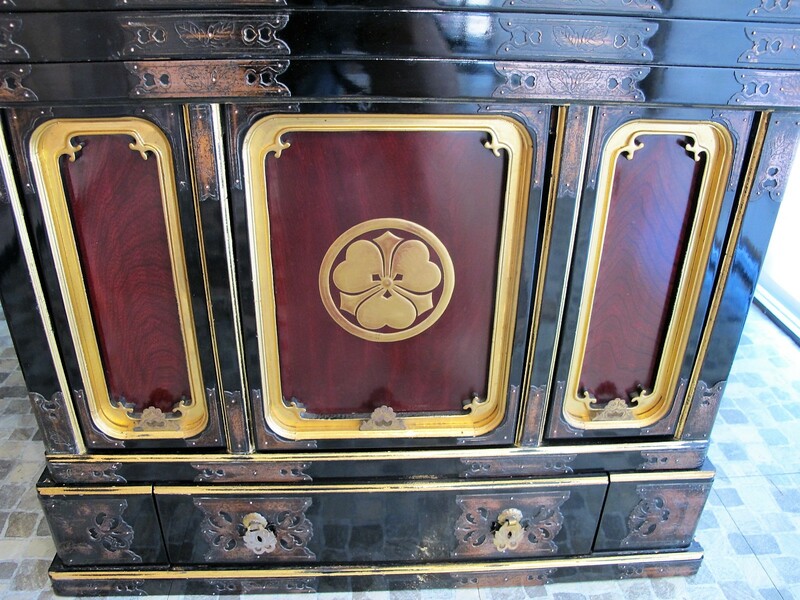 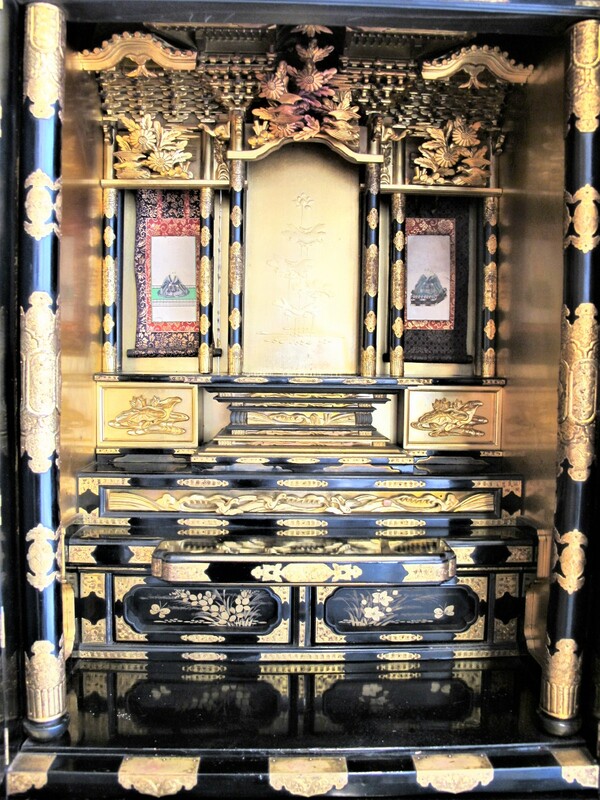 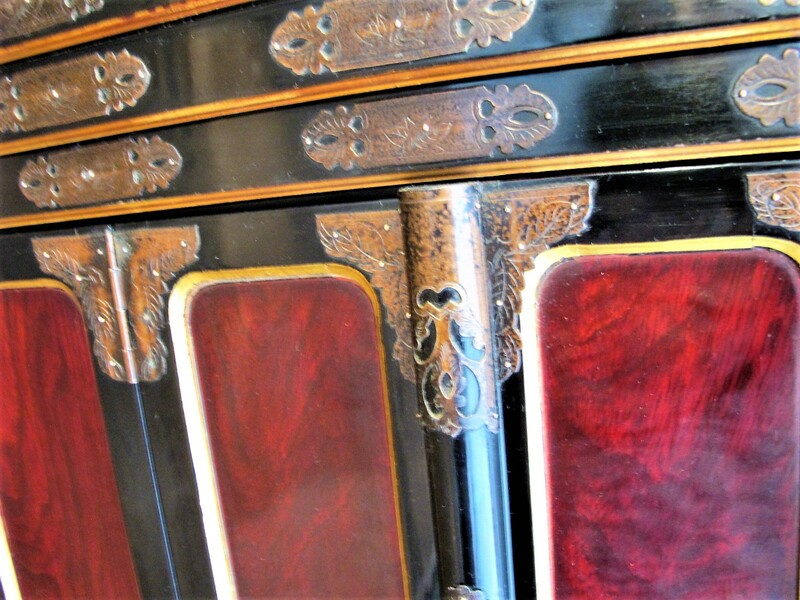 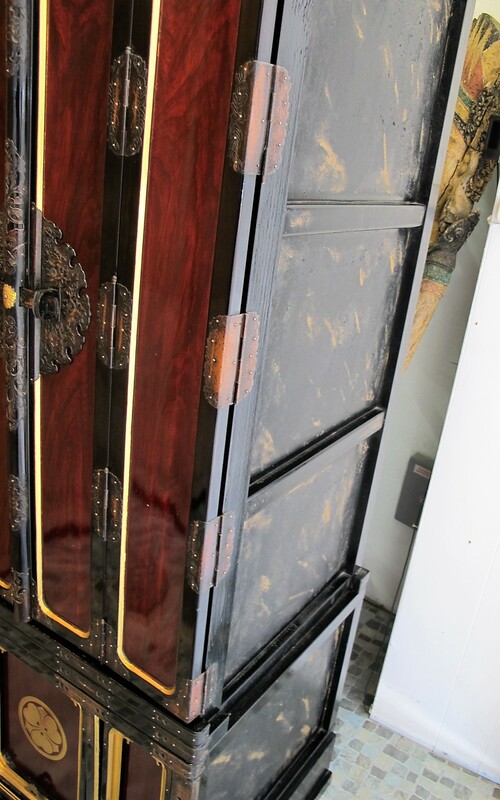 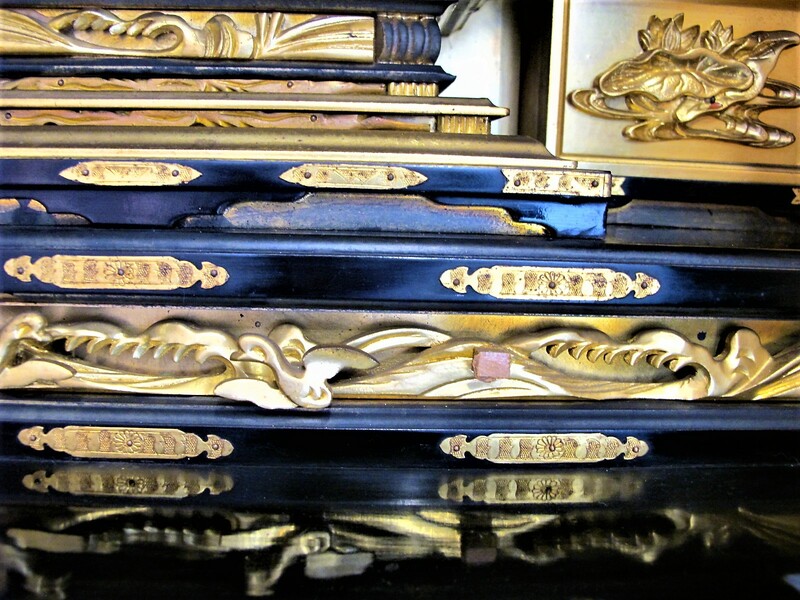 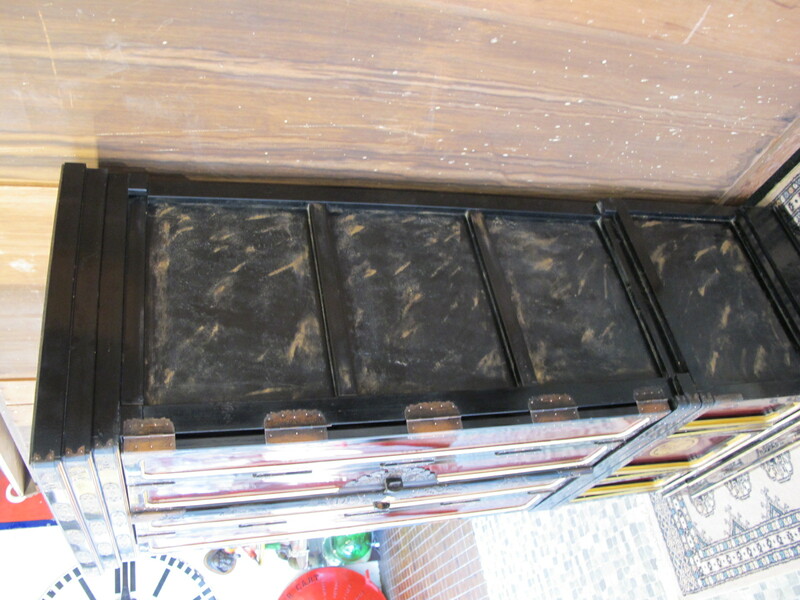 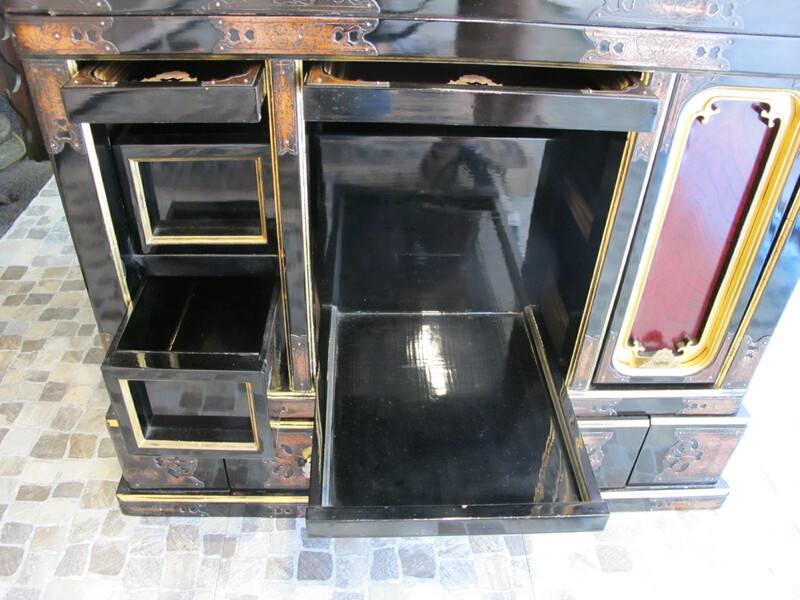 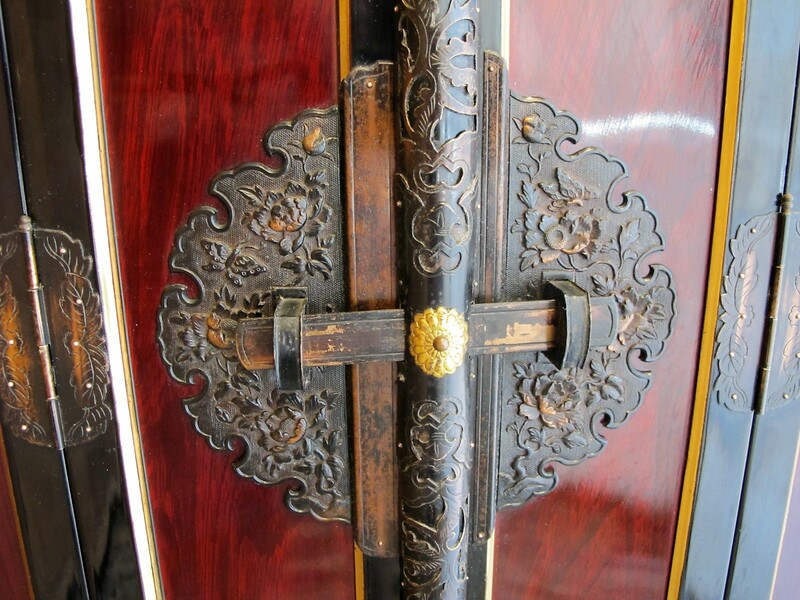 Description THE UPPER SHRINE SECTION BEHIND FOLDING DOORS ARE ORNATELY CARVED GILDED & WITH BLACK LACQUER. 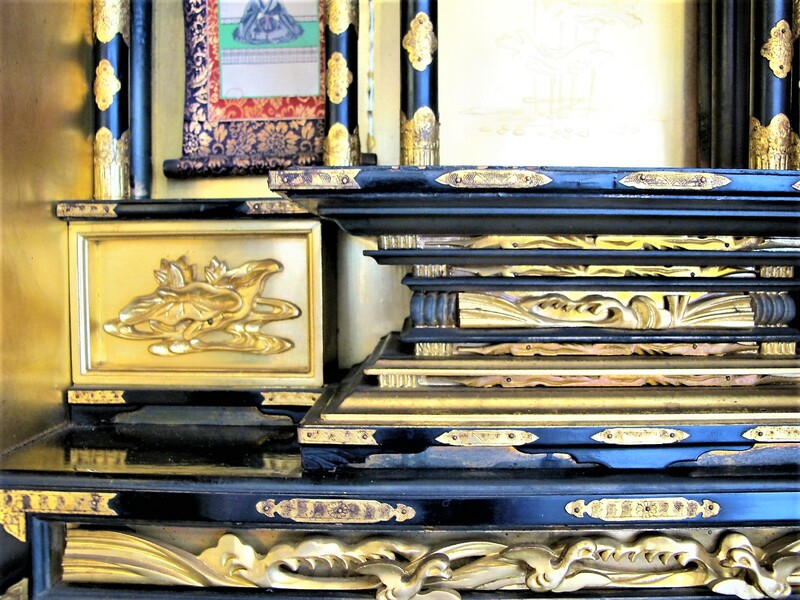 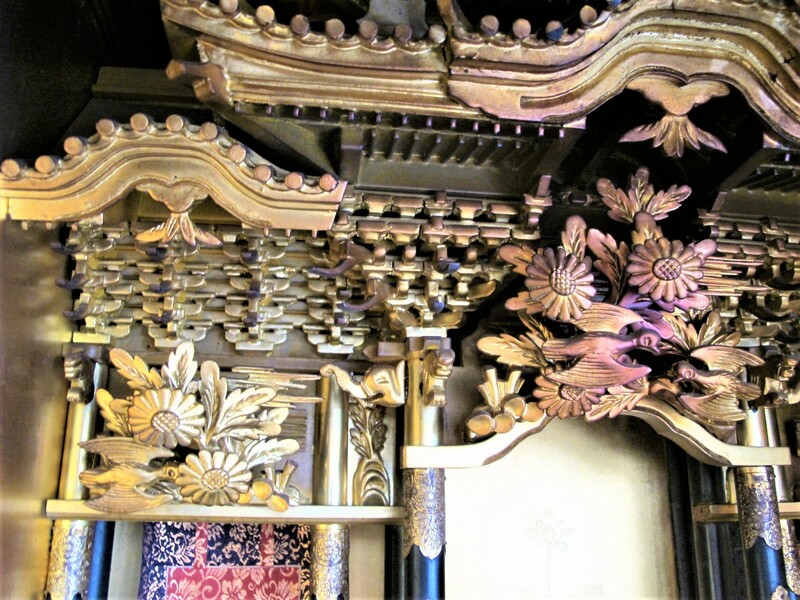 CARVED & GILDED BIRDS & FLOWERS DECORATE THE MINIATURE TEMPLE ARCHITECTURE. 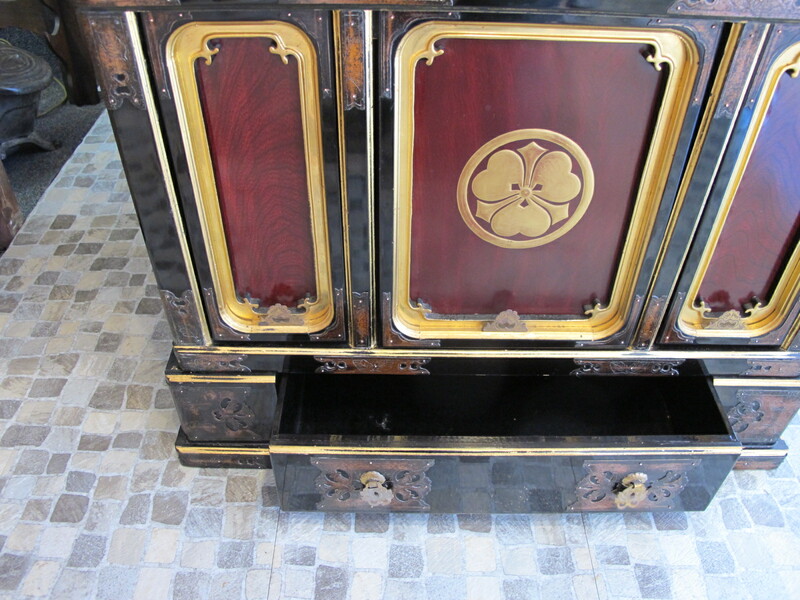 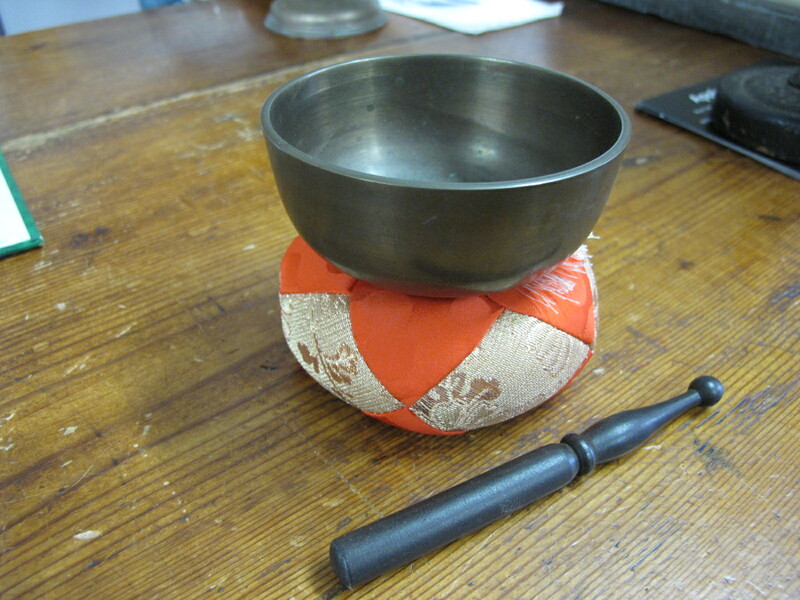 A FAMILY MON FEATURES ON THE LARGE CENTRAL DROP DOWN FLAP.IN TOTAL THERE ARE 8 DRAWERS & A PULL OUT PLATFORM AS WELL IT COMES WITH A SMALL BUDDHIST RINGING BOWL. 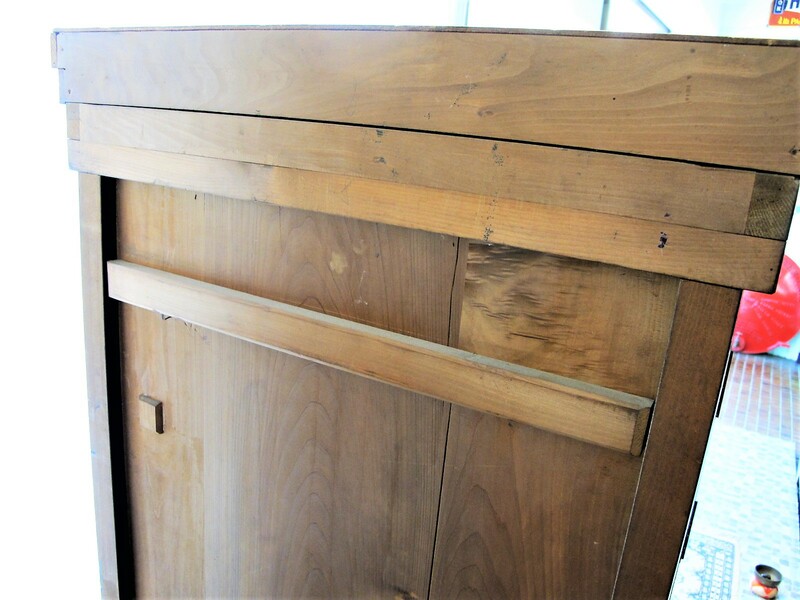 COMES COMPLETELY APART FOR TRANSPORT.